Emmanuel Remy, also known by his nickname “Manu”, came to APS with 26 years of aviation experience and 7200 total flight hours. He was born and raised in Paris, France and grew up in a Franco-American family. He became fascinated with airplanes at an early age while crossing the Atlantic in the Boeing 747. He moved to the United States in 1988 and received his Private Pilot Certificate in 1991. Manu attended San Diego Christian College where he continued his flight training through the School of Missionary Aviation, which was established after WWII, and graduated with a Bachelor of Science in Flight and Maintenance Technology. He received his CFI and CFII through Hart Air Jg54, a flight school in Long Beach, California that specialized in Emergency Maneuver Training and Aerobatics. It was there that his passion for all-attitude flying began. Manu accumulated 500 flight hours through this unique challenge of delivering aerobatics and upset prevention and recovery training to international clients such as All Nippon Airways, Alitalia, the California Highway Patrol and General Aviation Pilots. He then did time in the country of Panama flying a King Air 90, dropping sterile cattle flies for a USDA contract. In 2001 Emmanuel was hired by American Eagle Airlines to fly the Saab 340B but the events of 911 soon brought it to an end. In 2002 Manu started flying for another regional airline where he gained experience on the CRJ 200, 700 and 900. In 2016 he was hired by the Experimental Aircraft Association to instruct at the headquarters of the world’s biggest airshow “Air Venture” in Oshkosh, Wisconsin. 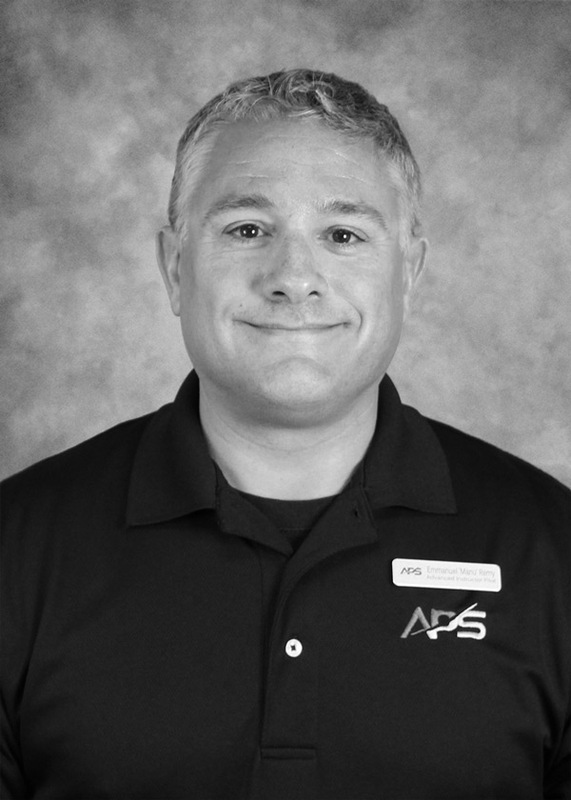 Since flight instructing was his passion, he moved to Arizona in 2016 to flight instruct for an international school before joining the APS team in August. Manu has often referred to his job with Aviation Performance Solutions as his “dream job,” since he derives great satisfaction from helping pilots to develop life-saving skills in time-critical, life-threatening upset events. On his time off, Manu enjoys hiking, cycling and swimming. You might find him playing his guitar, doing volunteer work or perhaps playing drums in church.